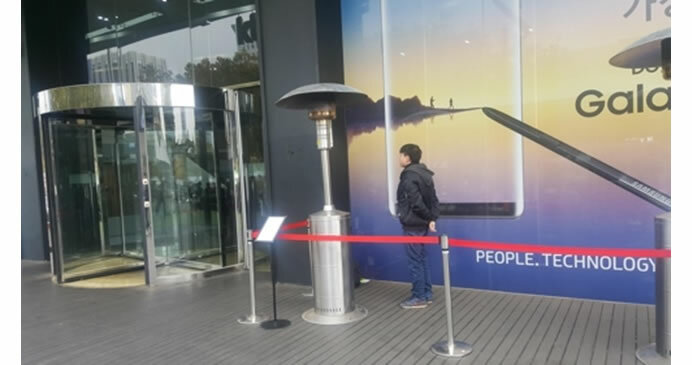 Only one person has turned up to wait overnight for South Korean mobile carrier KT’s special launch event of the iPhone 8 in Seoul, in contrast with its predecessors. As of 1 p.m, 27-year-old man Lee Gyu-min was the only person to line up for iPhone 8 release event. The lower turnout compared to the phone’s predecessors reflects the latest iPhone’s lack of interest and underwhelming preorder performance. A number of factors come into play in the reduced level of popularity of the iPhone 8. KT’s gifts for the first user to register their new iPhone are much more moderate this year.Industry sources estimate iPhone 8 preorders in South Korea are trailing behind those of the iPhone 7 by 30 to 40 percent, as consumers don’t see much of a difference in both features and design. Many buyers are also waiting for the release of the high-end iPhone X. With the iPhone X expected to sell for 1.63 million won ($1461) in the South Korean market, some feel that the higher-than-expected price could see sales of the iPhone 8 grow later this year.